Successfully Added USB Stick MP3 Player 256MB - Backlight + Radio + Voice Record to your Shopping Cart. Popular low cost, reliable performance 256MB black MP3 Player and USB pendrive with a built in FM radio and a high quality backlit LCD screen for easy GUI interface. 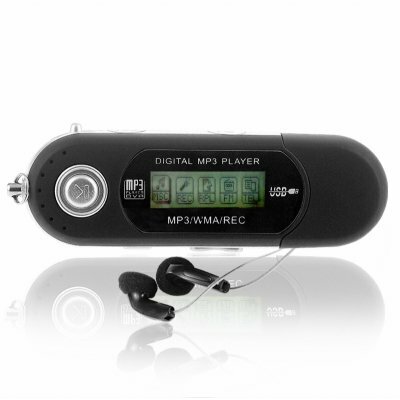 With intuitive controls for, easy of plug and play transfer music to the MP3 Player from any Windows OSs including Vista, 7 different color back lights to choose from, and low power demands for long lasting play from only 1 AAA battery, this is an affordable and powerful MP3 player for anyone. Dropship this item direct from Chinavasion to your front door with absolutely no MOQ.